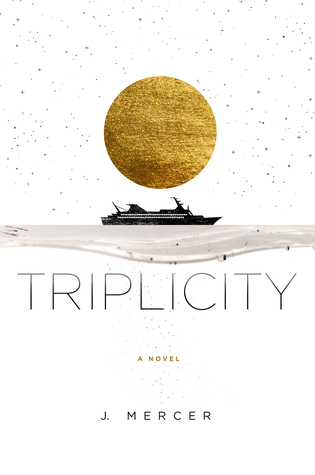 Triplicity : Review + Giveaway! One thing that I love is mystery and romance. (Wow. Shocker.) So when I see a book that offers both of them, I jump on it. Triplicity by J. Mercer is a good example. The description of it immediately drew me in, which you can read below. Interesting, right? It gave me high hopes for the book. But, did it meet it’s expectations? Not 100%. While a good book, It definitely didn’t make it onto my favorite reads list. Despite all of that, the plot itself was definitely interesting. Though I tried my hardest while reading, I wasn’t able to figure out who the thief was until the end reveal. (And I pride myself on things like this, smh.) And one thing I can say about that is this – it frustrated me to no end. It wasn’t the thief themselves that frustrated me, but rather the circumstances around it. I know I just said I didn’t like Navy, but #NavyDeservesBetter. And the final thing. The thing that I was excited for the most : the Romance. The romance in this book is in summary a weirdly complicated love triangle. And might I say, kind of annoying. Jesse and Isaiah “battle it out” for Navy’s affections (and the chance to take her first kiss) and instead of loving it, I rolled my eyes instead. It was all very predictable. When I read Navy’s point of view I wanted to hear about Jesse, when I read Isaiah’s point of view I wanted to hear about Jesse, and when I read Jesse’s point of view I wanted him to stay very far away from everyone and *gasp* be happy. Overall, I did enjoy the book and it wasn’t a chore to pick it up and read. Keep reading to learn about the author and enter a *giveaway*! 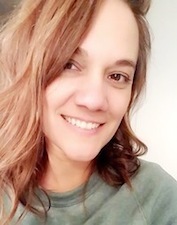 J. Mercer grew up in Wisconsin where she walked home from school with her head in a book, filled notebooks with stories in junior high, then went to college for accounting and psychology only to open a dog daycare. She wishes she were an expert linguist, is pretty much a professional with regards to competitive dance hair (bunhawk, anyone? ), and enjoys exploring with her husband–though as much as she loves to travel, she’s also an accomplished hermit. Perfect days include cancelled plans, rain, and endless hours to do with what she pleases. Find her on Facebook @jmercerbooks or online at www.jmercerbooks.com. By Kenzie @ Hurricane BooksIn Blog Tours, Giveaways, Reviews2 Comments on Triplicity : Review + Giveaway! WARNING: The following book is apart of a series, and since the review will obviously contain spoilers (I can’t help myself), I suggest you read that series first. I honestly wasn’t expecting to enjoy this book as much as I did. I thought it was going to be really cheesy and just dull but it was actually quite interesting. I mean Gigi – AMAZING character development. She went through serious issues after being accused of separating one of the royal family members with Perry Gilman. Despite it being untrue, it destroyed the beginning of the most significant point of her fashion career and hurt her friendship with Jamie. Now almost six months later, Gigi is engaged to a Count in England named Gideon, which is completely shocking. Perry is busy with broadway and has a hit musical. I was surprised to find that they weren’t together! In this book, Gigi realizes she doesn’t want to give up her fashion side. This leads to the opportunity of a lifetime! Being in charge of the design for the Met Ball this year. With Perry and Gigi both finally at the height of their careers – will they realize that they still want to be together? I’m not trying to spoil this book completely – so you’re gonna have to read the end yourself. A pretty good read! To give you a little something to read this on – the giveaway winner will win a Kindle Fire! YA Romance books could be considered one of my favorite things in the world. I read them, I absorb them, I cry over them, and then I move to the next one. And repeat. The most recent YA Romance book in my never ending cycle happened to be This is What Happy Looks Like, by Jennifer E. Smith. At first, I wasn’t there for this book. The des cription seemed promising, but as I read the first few chapters it didn’t seem like it would live up to my hopes. The characters, Graham and Ellie, meet after an accidental email, and continue to email each other. The description calls the following correspondence “witty and unforgettable”. That may be true for the characters, but not for any reader. They hype up the emails and the fact that they don’t know each other – but that part is quickly resolved. They sort of skip over it all, doing a time jump when the first actual scene happens. And not long after that first scene happens, do they meet and find out who each other are. But despite the initial fast paced events, I continued to read and I liked it. As a romantic and entertaining novel it didn’t have to work that hard to keep my attention. One disappointment I do have though is the lack of Quinn, Ellie’s best friend. Despite this being a romance book, I expected more than a brush over of Quinn and Ellie’s relationship. It was made up for though, with development in family themes. In short, if you’re looking for a cheesy YA romance book, this one’s for you. Sixteen-year-old Flannery Malone has it bad. She’s been in love with Tyrone O’Rourke since the days she still believed in Santa Claus. But Tyrone has grown from a dorky kid into an outlaw graffiti artist, the rebel-with-a-cause of Flannery’s dreams, literally too cool for school. Which is a problem, since he and Flannery are partners for the entrepreneurship class that she needs to graduate. And Tyrone’s vanishing act may have darker causes than she realizes. Tyrone isn’t Flannery’s only problem. Her mother, Miranda, can’t pay the heating bills, let alone buy Flannery’s biology book. Her little brother, Felix, is careening out of control. 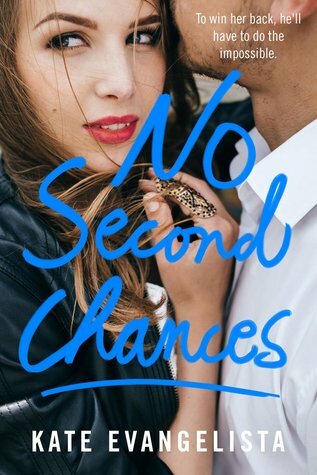 And her best-friend-since-forever, Amber, has fallen for a guy who is making her forget all about the things she’s always cared most about — Flannery included — leading Amber down a dark and dangerous path of her own. When Flannery decides to make a love potion for her entrepreneurship project, rumors that it actually works go viral, and she suddenly has a hot commodity on her hands. But a series of shattering events makes her realize that real-life love is far more potent — and potentially damaging — than any fairy-tale prescription. When I first started reading this book, I was a bit hesitant about it. I couldn’t relate to the main character, or any part of the storyline. But I pushed through. And it was worth it. Most of the story is about Flannery’s social life. Her best friend Amanda, her school projects, and the famous Tyrone. And because of this, the theme of friendship is very present in the book. There is anger, hurt, jealousy, competition. Something that lots of teens deal with on a pretty much daily basis. At a first glance, romance seems like a major part of the book when in fact it is just a coming of age device in Flannery’s life. That was refreshing, when most of the time romance is presented in books as the most important thing in a teenager’s life. But there is also a lot of stuff going on at home. It mostly centers around her mother. They’re broke. They don’t have a lot of money, and Flannery is frustrated by this. Especially when her mother buys her little brother toys but won’t give her the money to get a textbook for school. Flannery sees her mother as a selfish mess, but soon enough she learns that her mother is just like her – scared, confused, and trying her hardest. While the book’s synopsis mentions potions one of the main parts of the book, it isn’t. Flannery making potions is merely what she is doing in school while she falls out with her friend, is frustrated with her crush, and deals with things at home. But it is a cool idea, especially when people start to think they work. In the end, this book is a enjoyable coming of age contemporary book that I believe a lot of people would like. This book was really enjoyable, and I’m glad I finally knocked this one off my TBR list. Today I’m participating in a blog tour for Speed of Life organized by Smith Publicity! My first post of the year….. this should be fun! Sofia wonders if 14 might be the worst possible age to lose your mom. Talking with her dad about puberty and s-e-x is super-awkward (even though he is a gynecologist). And when she wants to talk about her mom, her friends don’t know what to say and her dad gets sad. This book was so cute. If I had to sum my feelings up in a short paragraph I would say that it was one of the best emotional relatable roller coasters that I’ve ever read. First things first – Diversity. Its rare that you’d see a book of this age range with an actual diverse range of people. Normally it follows a middle class white set of characters, which can always get boring. But with this book, I was able to notice that the author actually put effort into having a diverse and unique set of characters. Characters like Lan, Kiki, Dr Pavlica, Mr Kapur, and Aisha were prime examples of this. Even though they weren’t main characters, this is quite the deal. This book was not only diverse in race but in sexuality as well, including everyone from the spectrum of the world. The beginning of the book was beautiful. It gave warning to the reader that it was going to be sorrowful. And it was, but it had a tint of humor that lightened up the grief everyone was going through. The style of the book (January to January – each chapter in a month) was a very unique like the rest of the book and helped the reader understand that the emotions the characters were going through lasted a while. Unlike other books, where the format of the book made the emotions feel like they happened in such a short time. Sofia’s character structure is very well written. She’s 14 and at the age where she needs her mom the most. She goes through so much while dealing with the grief of her dead mother. Sofia’s mother’s death left such a dent in her family and they all struggled in moving on. Her honesty, innocence, and naivety are all examples of her youth. She’s flexible and understanding and slowly adapts better to changes over time, a sign of her slowly growing up and becoming who she is. Overall though, the plot of Speed of Life was not predictable or wild. I could understand where the book was going pretty early on. But it was an emotional, diverse, funny, cute coming of age story. It didn’t have one theme, which could make it relatable girls growing up. A cute read, and I loved it! I recommend this book to middle school age girls who are interested in contemporary books!